I don’t know what I was exactly expecting out of Don’t Get Caught. What I wasn’t expecting was Don’t Get Caught to be as fun and enjoyable that is was. Max Cobb is just an average guy, who is obsessed with heist films, floating through high school. You can imagine his surprise when he receives a note from the elusive Chaos Club to meet that night at the water tower. Unable to turn down the potential offer to join the decades old club, Max sneaks out and is met by four other unlikely candidates. While trying to figure out why they were summoned here, the school’s security guard catches them. After being set-up by the Chaos Club to take the fall for an act of vandalism, Max and his newly formed crew are out for revenge. Don’t Get Caught was such a fun read. I think I was a little weary of how the pranks were going to be, but I loved how well-thought out and elaborate they actually were. I’m a huge fan of heists films and books, so I absolutely adored all of the heist rules that Max listed throughout the book and how they connected to the different pranks. I thought that was such a fun and clever addition to the book. Another part I loved was the cast of characters. I loved The Breakfast Club mash-up of characters that made up Max’s crew. You have the nobody, the good girl, the artist, the jock, and the troublemaker. All five of the crew members come from different parts of the high school social hierarchy, but that doesn’t stop them from teaming up and becoming fast friends. Pulling pranks brought them together, but their newly formed friendship will last a long time. I also liked that Max was not the only one experiencing character growth. The other members in the crew each went through their own personal growth and were able to overcome their own obstacles and problems that led them to the water tower that fateful night. 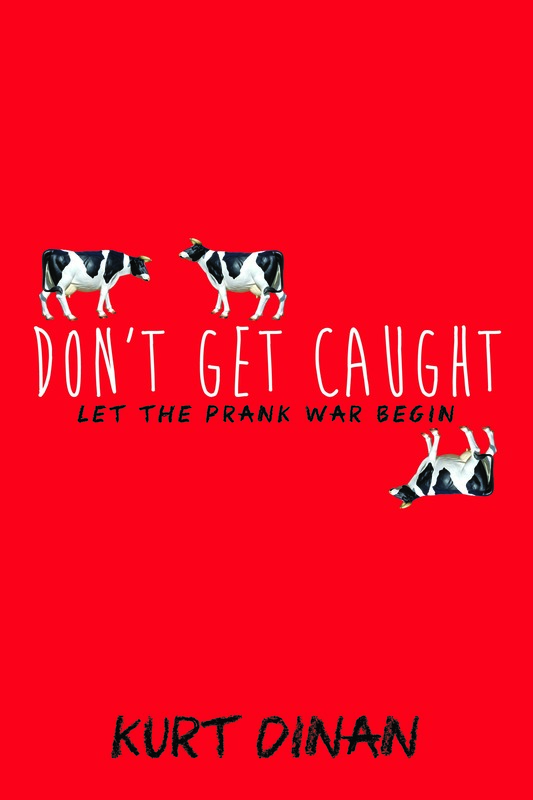 Overall, Don’t Get Caught is a very fun and enjoyable book. I recommend it for those looking for a fast-paced, funny read!